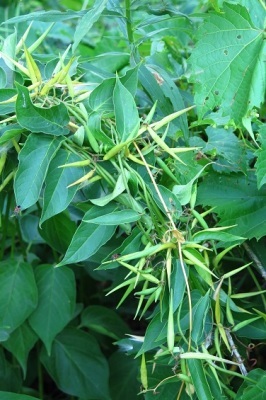 Twining stem up to 2 m chokes out vegetation on which it climbs. 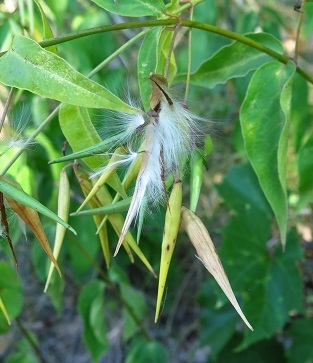 ​​​Seed pods, 4-6 cm, release many small seeds with long silky parachutes, dispersed by wind. 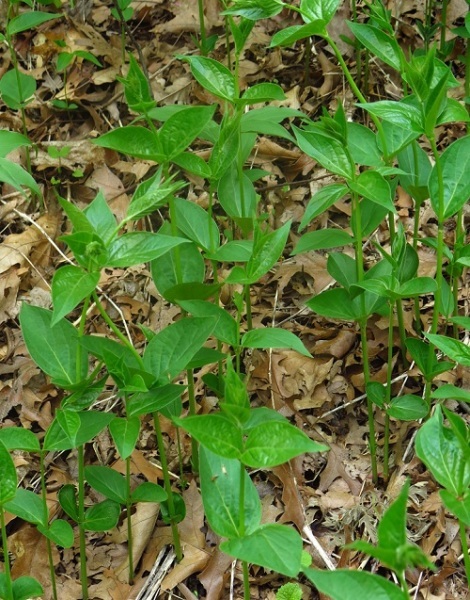 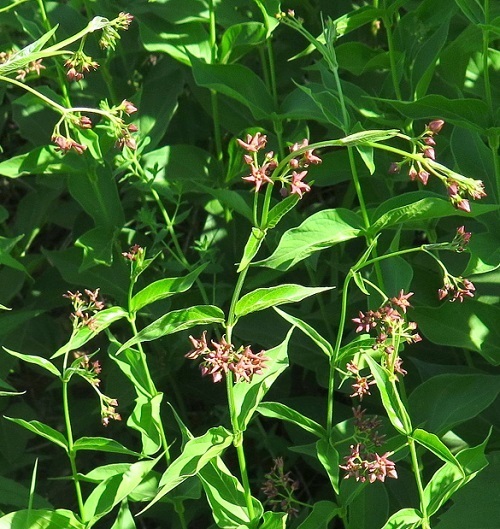 ​Plant also reproduces by spreading underground rhizomes.